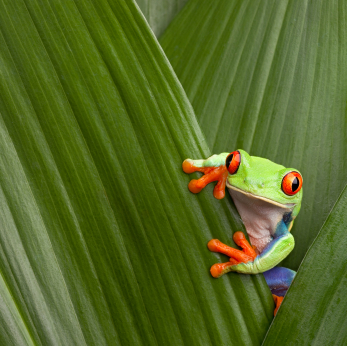 Panama is a one-stop destination for Central American ecology, biodiversity and environmental studies, and is considered a crossroads of the world. The renowned Smithsonian Tropical Research Institute is a regular stopover for many students. This slim, snaking strip of land is bounded by the Caribbean Sea on one side and the Pacific Ocean on the other. It is valued environmentally, politically and economically, and has had a close, long-standing relationship with the United States. Benjamin A. Gilman International Scholarships are provided by the federal government and awarded to disadvantaged students who otherwise would not be able to afford to study abroad. More than 2,300 scholarships of up to $5,000 annually are given for study programs around the globe, including Panama. The Gilman Scholarship Program aims to support students who have been traditionally under-represented in study abroad, including but not limited to, students with high financial need, community college students, students in under-represented fields such as the sciences and engineering, students with diverse ethnic backgrounds, and students with disabilities. Applicants for the program must be federal Pell Grant recipients. Other criteria for acceptance includes being in good academic standing and a commitment to study in one country for at least four weeks. The Fulbright Program offers grants for Americans who want to study in Panama. The Fulbright U.S. Student Program offers fellowships for U.S. graduating college seniors, graduate students, young professionals, and artists to study abroad for one academic year. The Fulbright English Teaching Assistantships (ETA) Program is part of the same program, but it also places U.S. students as English teaching assistants in schools or universities overseas. The Fulbright U.S. Scholar Program sends American scholars and professionals abroad to lecture and/or conduct research in a wide variety of academic and professional fields. The School for International Training (SIT) affords students a full immersion with its program, Panama: Tropical Ecology, Marine Ecosystems, and Biodiversity Conservation. Through interdisciplinary coursework, field study, community volunteering, language instruction and homestays with host families, students are exposed to diverse perspectives on the environment and its management, indigenous people and more. The Sally Bragg Baker Memorial Scholarships go to a female participant in any who demonstrates international awareness and a desire to create a more peaceful world through international exchange. SIT Pell Grant Match Award matches federal Pell Grant funding for all study abroad programs. The Compton Fund is for students enrolled with environmental, peace studies, or sustainable development themes. SIT Fund is for students with demonstrated financial need. HBCU Scholarships are for students enrolled at Historically Black Colleges and Universities (HBCUs). The world-renowned Rainforest Alliance offers the Kleinhans Fellowships. Up to $16,000 per year for two years is awarded to outstanding post-graduate, doctoral and post-doctoral students with a master’s degree in in forestry, ecology, botany, environmental science or a related field. Panama is ripe for this fellowship. Need a short-term travel scholarship to Panama? If so consider the James R. Scobie Memorial Award for Preliminary Ph.D. Research. The award is made available through the Conference on Latin American History. Applicants must require travel to Panama to do short-term research. Up to $1,500 is awarded to several recipients each year for exploratory research trips abroad to determine the feasibility of a Ph.D. dissertation topic related to a facet of Latin American history, including Panama. College of Arts and Sciences Panama Scholars Awards are meted out to superior students in the program. Recipients are selected according to a range of criteria, including leadership abilities. Richard and Constance Lewis Scholarships in Latin American and Iberian Studies for Students provide funding for those heading off to Latin American destinations, including Panama. Business majors should check with their schools to see if a study abroad scholarship is available for Panama due to its economic importance to the Western Hemisphere.